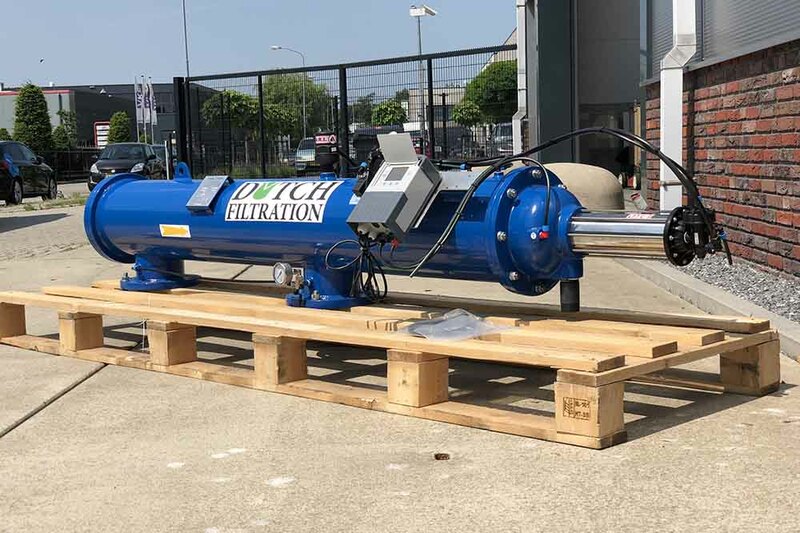 Dutch Filtration offers standard equipment as well as custom made equipment. We also provide the consumables and auxiliaries to complete your filter set up. An overview of some of our projects. We manufacture filter equipment and filter consumables for the Oilfield Industry. 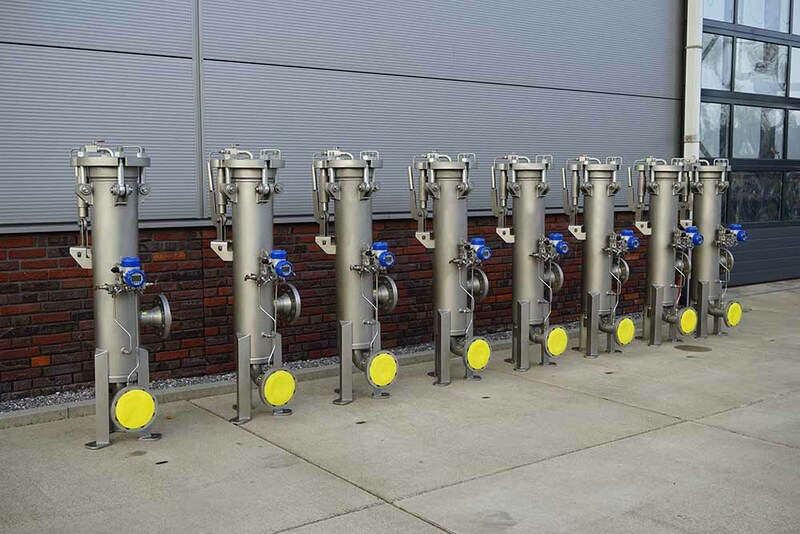 But we offer also a range of filters in divers applications in the Process Industry. 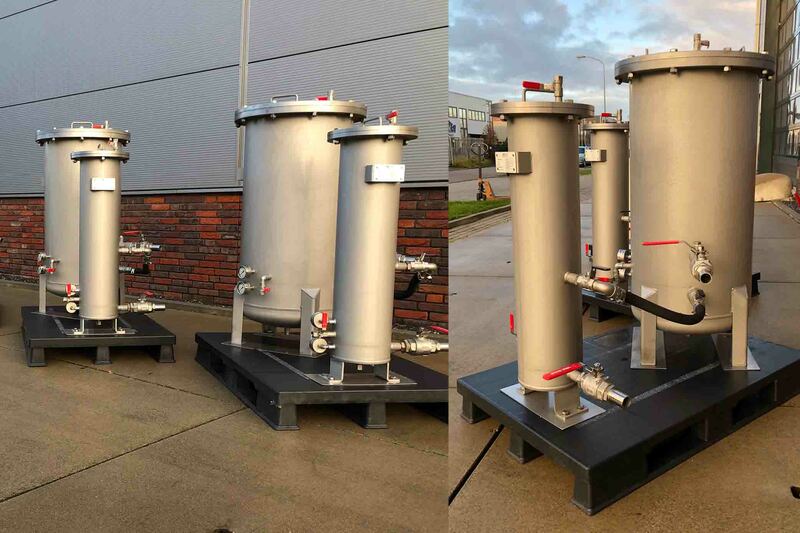 Short term project, 4 Stainless Steel 316 filterhousings ordered and delivered within 5 days. Standard Single Bag Filters modified with additional connections, valves and gauges. New built Cartridge Filter Housing for 4 x 2.5 x 40 plugin cartridges with valves and gauges. 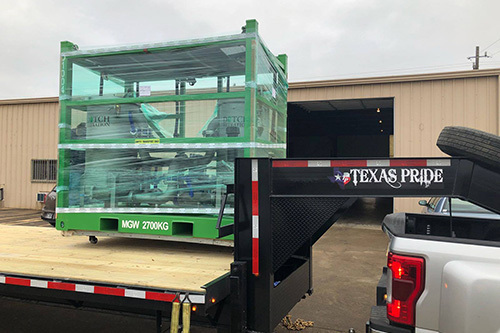 To a customer in Texas we sold two dual vessel filter units also known as duplex filter unit. 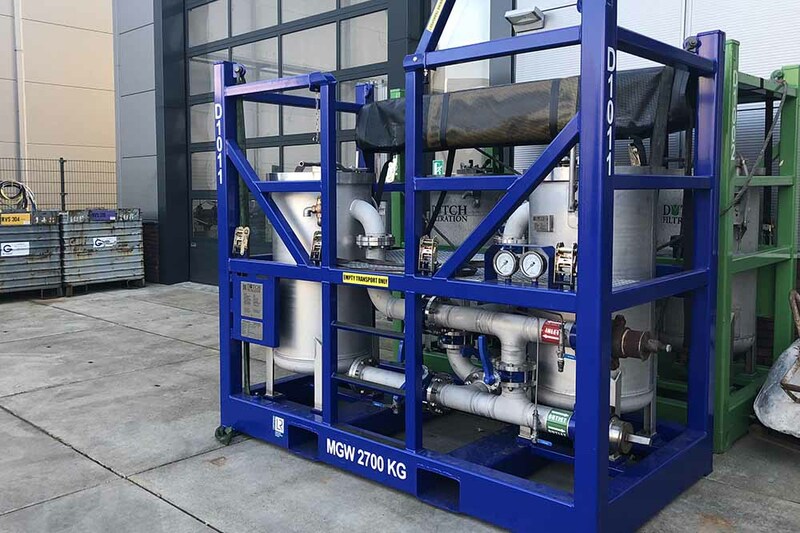 The heavy duty system cleans, purifies and disinfect ‘local’ prepared drinking water at rates up to 500 LPH (8.33 GPM). 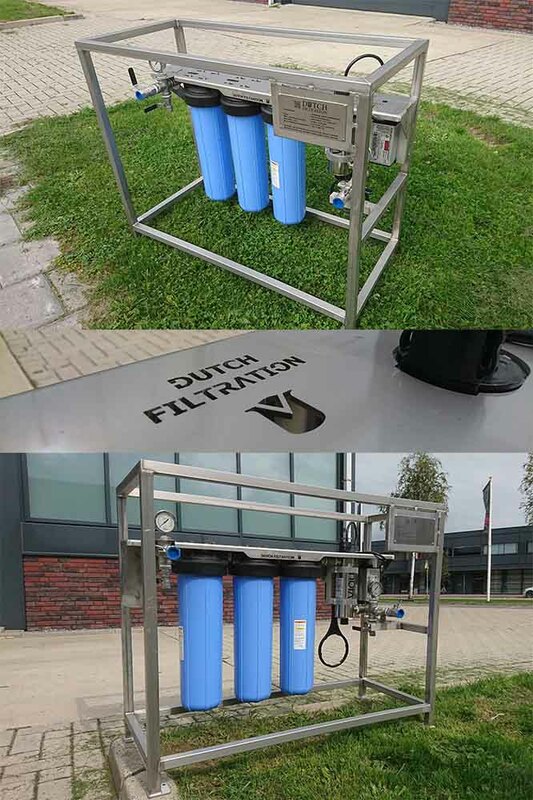 The purification system has a 4 stage treatment; filtration sediments, activated carbon, membrane filtration and UV-disinfection. The Amiad automatic self cleaning filters from the Filtomat Serie. Ideal for remote installation sites, with a water-driven self-cleaning mechanism it doesn’t need an external power source for operation. String Wound Cartridges packed in bulk boxes. 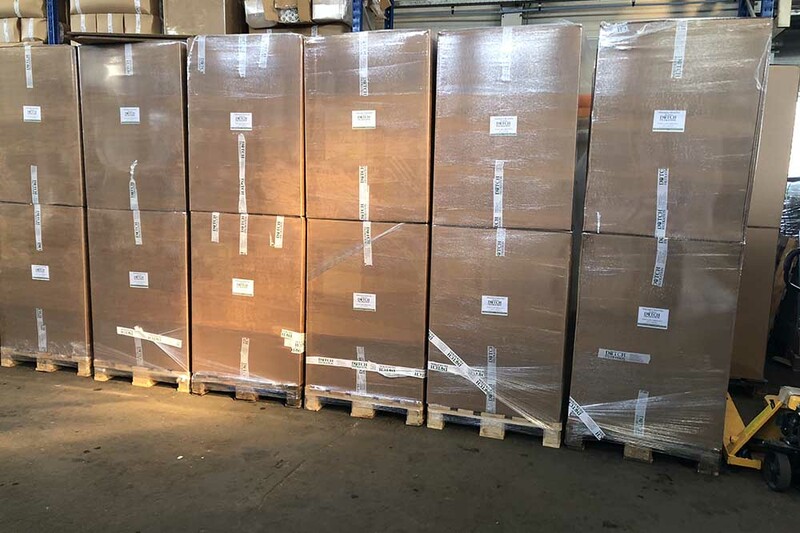 440 pcs 40inch string wound cartridges per pallet. We designed and manufactured 3 strainers for a company in the food industry. 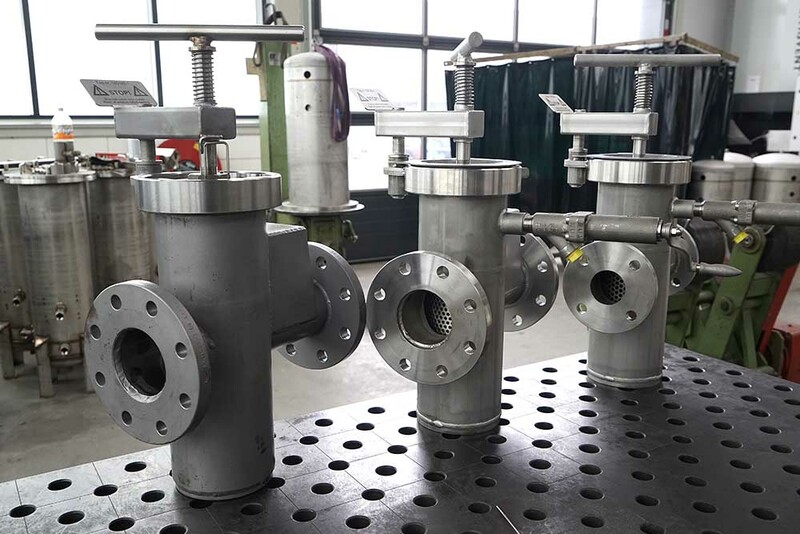 The strainers are used for filtering high viscosity fluids. All strainers are equipped with a quick opening-closure. 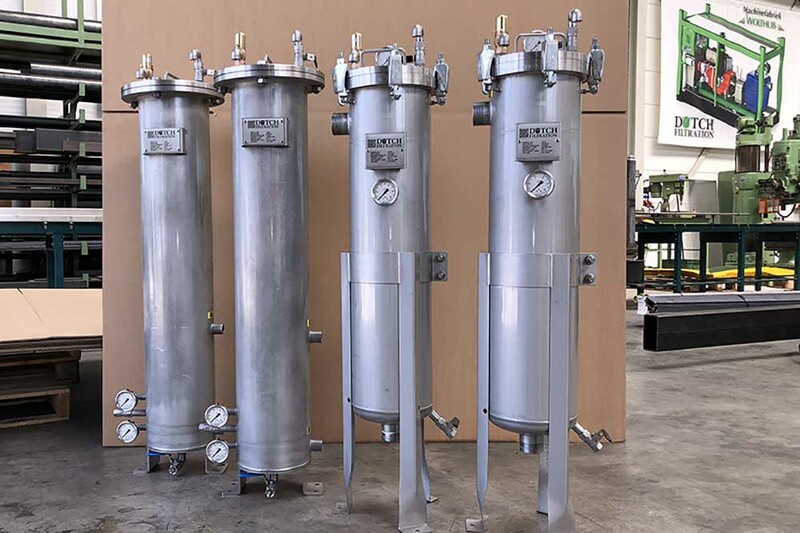 High Pressure Demi Water Guard Filters. 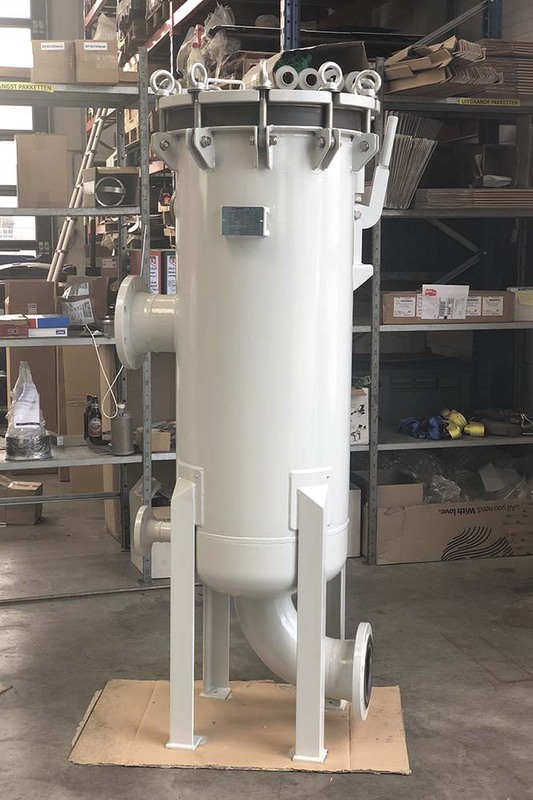 The high pressure housings are fitted with our MegaFlow high flow filter element for removal of particles larger than 0.5 micron at flow rate up to 35 m3/hr. 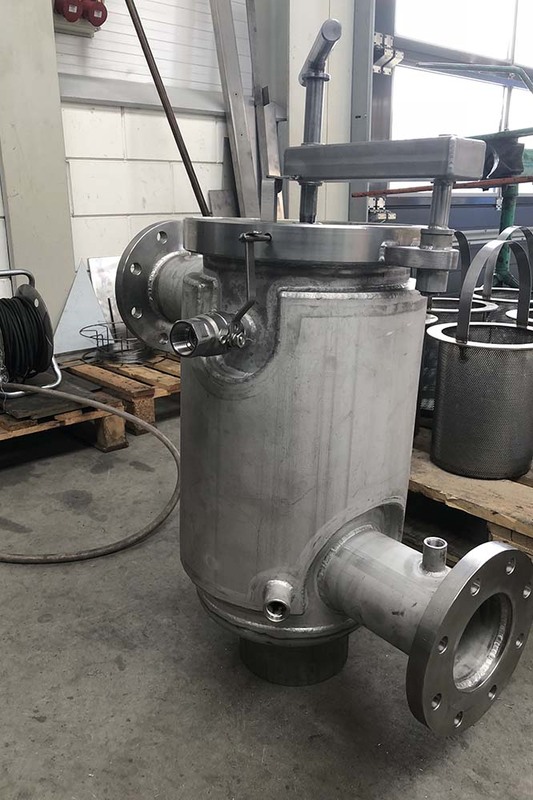 The filter housings are fully fabricated in stainless steel 316 are rated for maximum 100 bar and complete supplied with all valves including a differential pressure transmitter with local read out.